The challenge is to get them to fly within reasonable distance of my lens! Here's a shot from today, taken in Henderson, NV. f6.3 500mm, 1/1600s, ISO400 NIkon D7100 Sigma 150-500mm lens. I'm still working on nailing the shots where the bird came out of nowhere, I was still in AF-S (single servo) when this guy showed up! Nice shot. It seems to be eyeing you up and deciding if you are food. Nice image. I'm hopeless at catching birds in flight so I appreciate the skill to get this. Oh, it's taken tons of practice, trust me! Plus knowing to not bother even taking a shot unless the bird fills your viewfinder at least 1/9 (general rule of thumb), or when you crop in, you will have lousy detail. 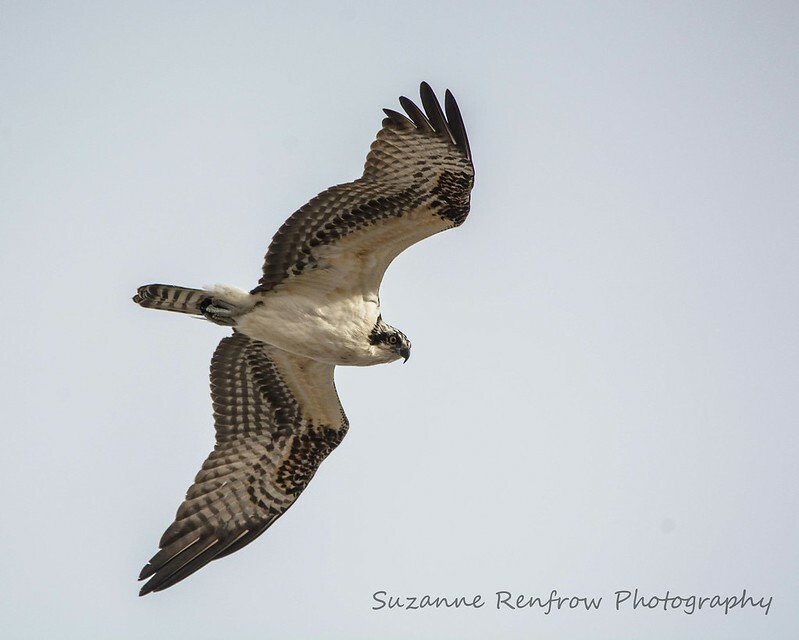 I was very lucky with this osprey, it flew right over me and that shot is barely cropped. That doesn't happen very often!!!! Tips for BIF shots ~ Good light = good shutter speed: 1/1250sec is usually good for BIFs (but for herons/egrets and other slow flyers, you can get away with a bit less). Good shutter speed is very important, and nice illumination on the front or side of the bird is another - (don't backlight, in other words). And "shoot to the right" of the histogram so you don't have to pull shadows up too much in post -- use up to +3EV for a dark bird against a bright sky, if necessary. And that's what I've learned in the last year. Before I was doing all that, my shots were not very good. Thanks for the BIF shooting tips! Thanks for info.... Fantastical shot ... What focusing method did you use?.. Backbutton, shutter half down or manual ?